The NCK project won a 2015 Knight Cities Challenge award from the John S. and James L. Knight Foundation. (Thank you!) We are setting out to create templates and teach residents to create their own Neighborhood Conservation Overlays, which are short, locally-calibrated additions to the Philadelphia Zoning Code. The purpose is to protect local character and walkability. Central Roxborough (pictured) got one of these local codes adopted in 2014, using volunteer labor and expertise from the neighborhood and advice from the Philadelphia City Planning Commission. Now, other civic associations are asking for our help. Updates on our progress will be posted on the home page throughout the summer and fall, as will the NCK itself. Stay tuned. 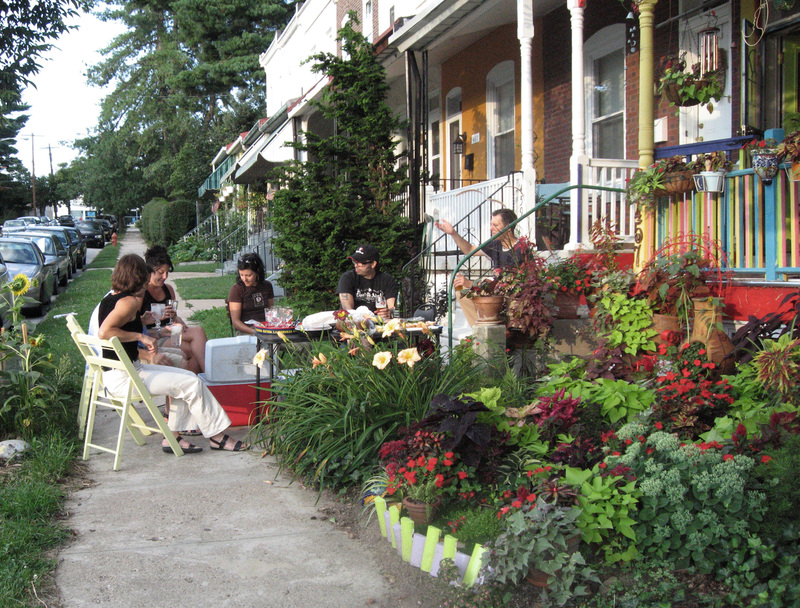 I love the photo of the sidewalk picnic on Ripka Street! That has always been one of my favorite blocks in Roxborough! Thank you for all the great work you are all doing to conserve our walkable neighborhood! Congrats on winning the Knight Cities Challenge. Thanks M! Two of the NCK team are off to Detroit at the crack of dawn tomorrow to meet the other 31 winning teams. Should be a blast. They have a great bowling alley on Woodward. Hmm. I thought all the NCK posts would line up here but that is not what a Page is for, it turns out. OK. Please see the Home page for the NCK posts. Hello neighbors! I’m a member of a new RCO in East Falls focused on business and community development. Love your video and the idea of creating a neighborhood conservation overlay for the Falls. What’s the best way to begin creating such an overlay? Steve, drop me an email at sandysorlien@comcast.net and we can discuss next steps.